Association of Legal Entities "Association of Users of Credit Information"
was established on 17 March 2003. The founders were the "Bank of Asia" CJSC, "Demir Kyrgyz International Bank" CJSC and "Optima Bank" OJSC (at the time of the establishment "Energobank"). "Association of Users of Credit Information" is the only credit bureau on the territory of Kyrgyzstan, which is engaged in the collection, processing and storage of information about borrowers. In the course of its activities the Association has established a strong and reliable partnership with the EBRD, USAID, IFC, SECO, GIZ, MFC and other international organizations that have provided assistance at various stages of development and continue to maintain a credit information sharing system. in Kyrgyzstan is a voluntary association of commercial banks and financial institutions; "Bank of Asia" CJSC is a member. State Mortgage Company. Open Joint Stock Company "National Mortgage Company"
was established by the Government Resolution dated 15 July 2015 in order to ensure the full functioning of the mortgage lending mechanism in the Kyrgyz Republic, as well as to create conditions for the adoption and implementation of the state program of the Kyrgyz Republic to provide housing for social workers, military, state and municipal employees by means of mortgage lending. Fund raising, in order to ensure the full functioning of the mortgage lending mechanism in the Kyrgyz Republic, will promote the development of the program "Affordable Housing". European Bank for Reconstruction and Development (EBRD) - Investment mechanism created in 1991 by 61 countries and two international organizations. The EBRD is the largest investor in the region, and in addition to the allocated funds, attracts significant amounts of foreign direct investment. The EBRD provides project financing for banks, enterprises and companies by investing in new production facilities, as well as in existing companies. Since 2013 "Bank of Asia" CJSC is actively cooperating with the EBRD. Microfinance Enhancement Facility SA, SICAV-SIF - Created in 2009 by KfW Entwicklungsbank and International Finance Corporation (IFC), a member of the World Bank Group, to provide short- and medium-term financing for microfinance institutions. 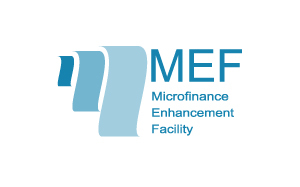 The purpose of MEF is to create favorable conditions for the development of economic status in developing countries. In 2015, the "Bank of Asia" CJSC successfully passed Due Diligence and received 1 million USD from the Microfinance Enhancement Facility SA, SICAV-SIF for the development of SMEs in Kyrgyzstan. International Finance Corporation (IFC) is one of the organizations of the World Bank Group and the largest organization in the field of global development, which works only with the private sector of developing countries. In the Kyrgyz Republic IFC implements the investment activities and realizes the advisory program projects, aimed at development of regulatory and legal framework for developing the institutional potential at financial institutions; development of corporate management and improvement of the investment climate for developing the private sector and favorable investment climate. Strengthening of financial infrastructure is the key IFC component in response to the financial crisis. Responsibility Investments AG is one of the leading asset management companies in the field of investment. Its main product is the professional investment management solutions for private and institutional investors. As part of its activities, these companies meet the basic needs of the general population, and are a driver of economic development - which leads to the increase of welfare in the long term. The company founded in 2003 is headquartered in Zurich, has local offices in Bangkok, Geneva, Hong Kong, Lima, Luxembourg, Mumbai, Nairobi, Oslo and Paris. In 2015, the Bank of Asia received from Responsibility 1 million USD for the development of small and medium-sized enterprises (SMEs) in Kyrgyzstan. Symbiotics, Switzerland is one of the world's leading companies specializing in the provision of professional services in the field of microfinance for investors and fund managers. The scope of the company includes market research and analysis, management and assistance in the placement of investment funds and making transactions. As a result of successful negotiations in 2015 the "Bank of Asia" CJSC received 1.5 million USD from Symbiotics for the development of SMEs in Kyrgyzstan. Russian-Kyrgyz Development Fund (RKDF) has been established and operates in accordance with the Agreement between the Government of the Kyrgyz Republic and the Russian Federation "On the Development of Economic Cooperation under the Eurasian Economic Integration" dated 29 May 2014. In June 2016 "Bank of Asia" CJSС signed a Cooperation Agreement with the RKDF in the amount of 1.4 million USD for the financing of small and medium-sized businesses in the following areas: acquisition, renovation, expansion and modernization of fixed assets in the following sectors: agribusiness, clothing and textile industry, processing industry, mining and metals industry, transport, infrastructure development, including tourism and medicine infrastructure and other long-term investments focused on production. In September 2018 "Bank of Asia" CJSC resigned a Cooperation Agreement with the RKDF in the amount of 2 million USD for the financial of small and medium-sized businesses.